My trip to Scotland was brief but full of memories. The weather was terrible that weekend - it was rainy, windy and very very cold, but it didn't stop us from having a great time full of adventures. 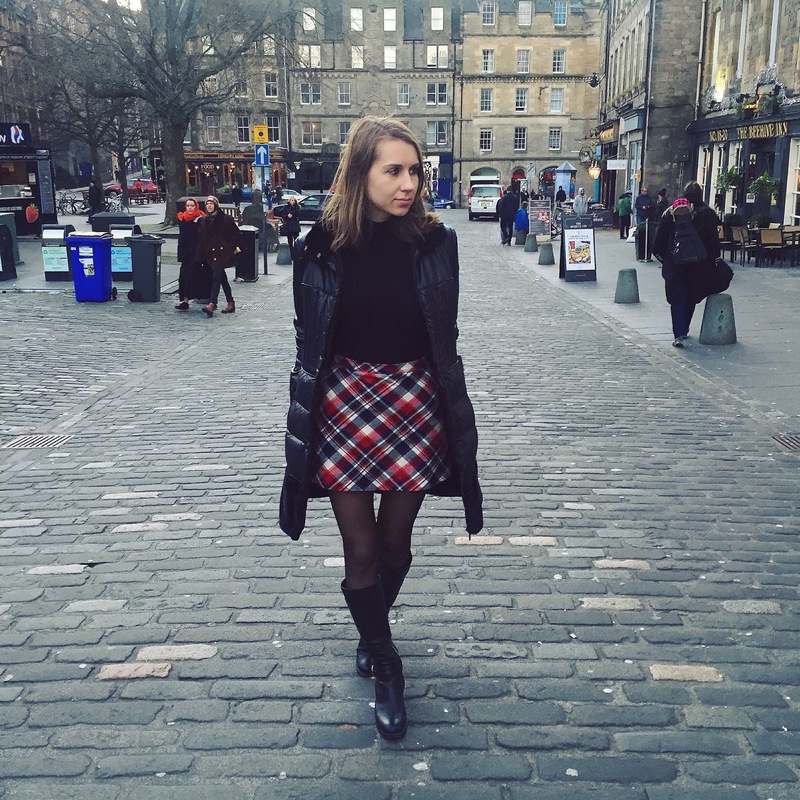 From visiting the Edinburgh Castle, exploring spooky Greyfriars Kirkyard, having coffee breaks at the Elephant House Cafe, where JK Rowling wrote her first Harry Potter, and ending the day on a bar tour around town, there wasn't a moment not to feel bored. As promised here is one of the looks that I wore during the trip. 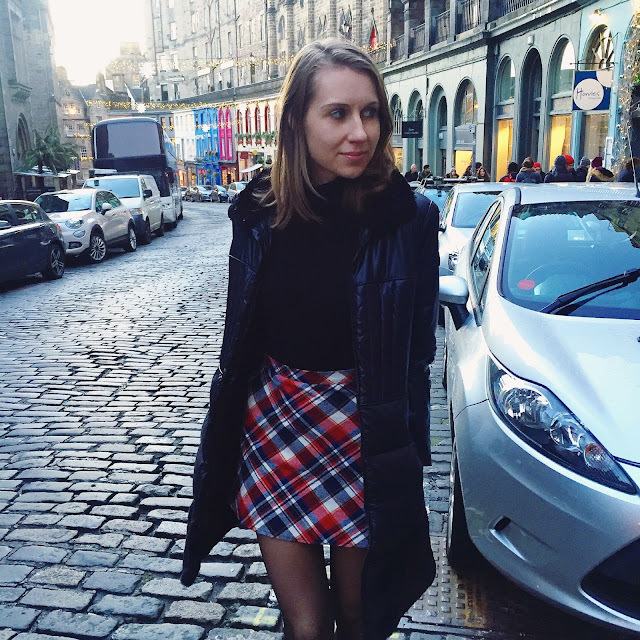 I was so excited to visit the country for the first time and took time to decide what look I am going to wear - tartan was on my mind and I found this perfect mini-skirt at my favorite Lulus. I wore the skirt from day into the night, switching a few items around for a glam look. Красивые фотографии! Всегда интересно открывать новую страну, вдохновлять себя новыми местами и историей! Пусть с погодой не совсем повезло, но всегда согревается душа, когда узнает что-то новое! Образ и особенно юбочка соответствует стране и передают шотландский дух! Люблю твой блог! You look stunning Diana, I love the skirt and the thigh high boots, you have the most beautiful legs to show them off. Love your skirt! And those thigh high boots are dynamite! Great look! Love that so Scottish skirt. Удивительные фотографии! Люблю твой блог! Удачи! That skirt is so cute and I love the tights!